What Are Your Memory Stones? As I age each year and the significance of life events seem to take on more meaning, I am gathering more and more memory stones for my journey. What is a memory stone? It is a Biblical reference to a type of marker—usually tangible—that we keep as a remembrance of God’s activity in our life. One such Biblical reference is in Joshua 4:19-24, about a time in Israel’s history when God did a significant thing—he parted the Jordan River to allow the Israelites to cross into the Promised Land. The twelve stones that were left on the other side (one for each of the twelve tribes of Israel) were left as a memorial—or spiritual marker—for future generations. January is of course a time when people often reflect on the milestones over the previous year, make resolutions and rededicate their lives to new areas for growth. For me, January also comes with bittersweet memories of several significant spiritual markers. I didn’t pay any attention to these spiritual markers until my life hit a dramatic wall in January 2004. That was when I was demoted from my job. I am grateful for that life changing event though, as that event led me out of denial and into recovery. 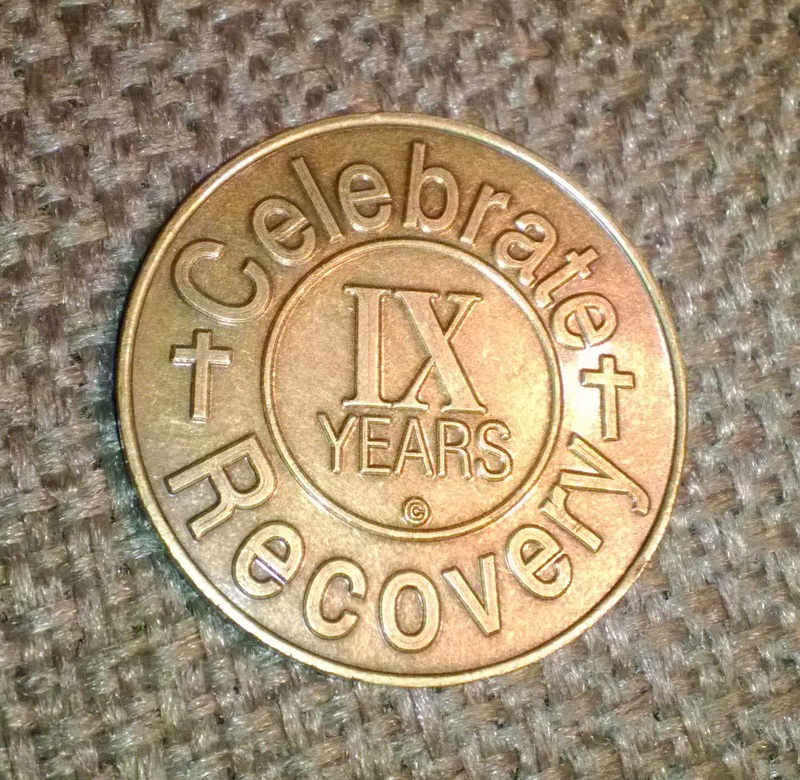 Last night I celebrated that milestone by accepting a 9-year coin (memory stone) at a local Celebrate Recovery (Christian 12-step) meeting. But that is not all I celebrated as January came to an end. I celebrated the one year anniversary of having my story, “Walking My Mother Home”, accepted by Cladach Publishing (exactly eight years to the day after my demotion). In January I also celebrated the anniversary of the receipt of Pedro’s first song and finding out he was a composer. I prayerfully remembered the passing of Rosa’s mother. I celebrated a significant trip to Wisconsin five years ago that led to identity revelations as I poured through the personal effects of my late Aunt Ardis. Two of my significant memories stones. As if to wrap all of these January memory stones together with a bow, this week I had yet another reminder of how special the last few years of my journey have been. During my dedicated weekly time of prayer at a Catholic Church, I wrote my thoughts on the last page of a beautiful leather bound journal. My first entry in that journal was in that same church after Rosa’s mother passed away. I have reserved it for my times with God. 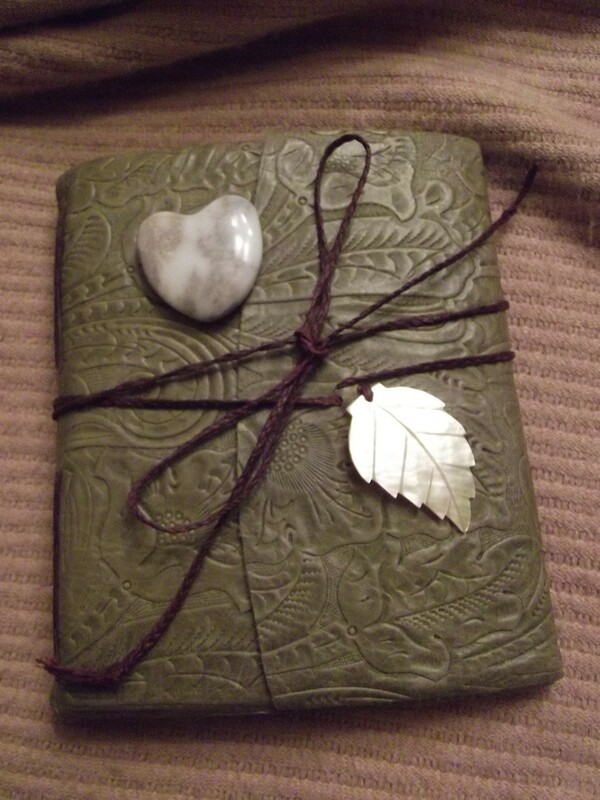 The journal in itself is a beautiful memory stone that I will always treasure. The final words God gave me as I finished this book of prayers and meditations were these: “Your life used to revolve around the payroll calendar (in reference to my secular job and demotion). Now your life revolves around Me and the liturgical calendar.” It was music to my ears as the words flowed from my pen. For this I am grateful. So you see, memory stones come in all shapes and sizes. What they have in common is the memory they hold to encourage you on your journey—to never forget what the Lord has done for you. What kind of memory stones do you keep and what does it represent to you?